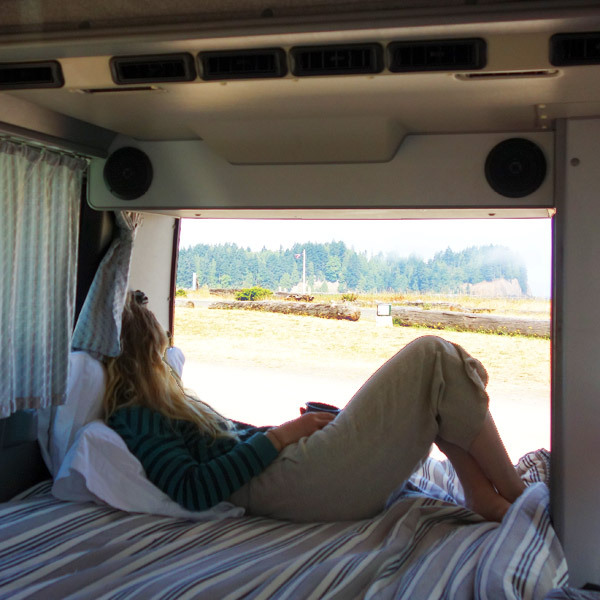 The Volkswagen Westfalia (aka ″Vanagon″) camper is ideally suited for the diverse landscapes of the Pacific Northwest. 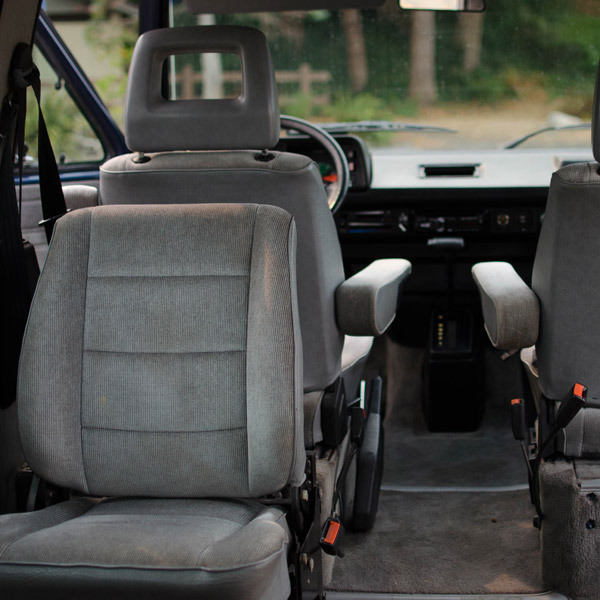 Maneuverable and comfortably sized, they leave a ticklishly-light footprint and are a joy to drive, as well as super cozy when it’s time to settle in. Truly a marvel of innovation, they’re highly capable and retro-cool! It might be you know all about these sweet pleasure units and are specifically looking for an authentic “Westy” experience. 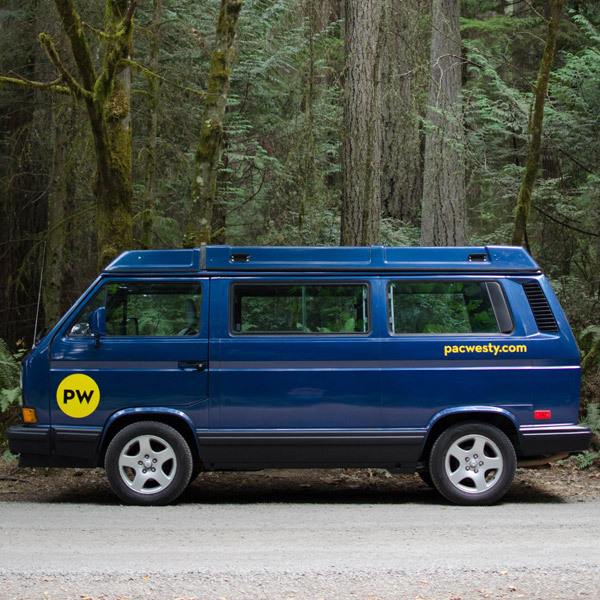 Or perhaps you’re drawn to the magnificent Pacific Northwest and want a fun, reliable, environment-friendly vehicle to adventure in. Either way, we’ve got you covered. 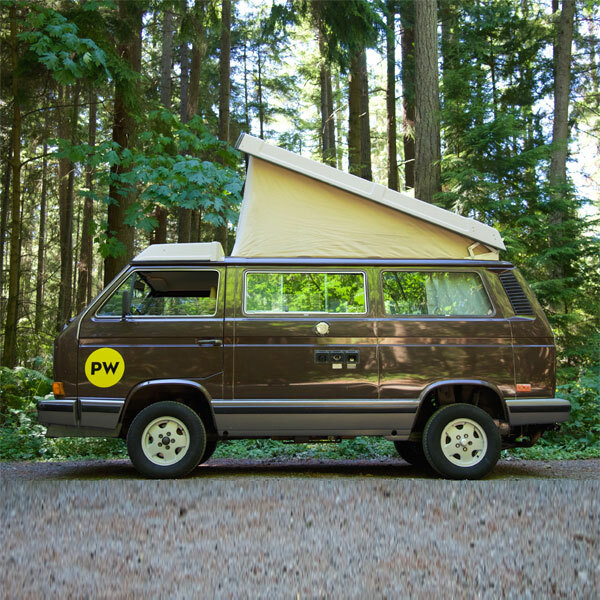 Our sweet fleet is comprised mostly of Westfalia “Camper” and “Weekender” units. Campers are equipped with the familiar ″Westy″ pop-top, propane stove, refrigerator (or portable cooler), sink, fold-down bench/bunk, and can sleep 4 (2 in the upper bunk, 2 in the lower bunk). While this arrangement is perfect for a family with small children – it can get a bit “cozy” with 4 adults. 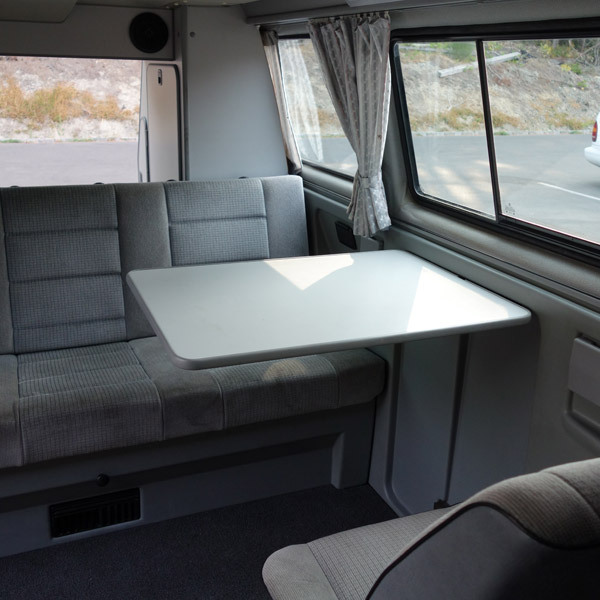 Weekenders also sport the ″Westy″ pop-top, along with the fold-down bench/bunk, and can sleep 4 (2 in the upper bunk, 2 in the lower bunk). Weekenders have cabinet storage space, minus the built-in stove, sink and refrigerator. As a result they are lighter and roomier. Campers and Weekenders have their own unique attributes, but whichever you choose, we’ll outfit your unit with a portable stove, cooler, table and all the other essentials you need to get out and about and enjoy! Check out What’s Included, for details. yourself to the possibilities and are willing to slow down just a touch. engines. Also, Vanagon brakes, while absolutely suitable and safe, are not as powerful as modern anti-lock brakes and may require a more measured driving and braking style. “Step On It!” doesn’t really work in a Vanagon. So, if you’re planning a bank heist or trying to make fast tracks to the next state, our sweet Westy vans are probably not the machines to use. On the other hand, if you’re ready to relax, downshift and enjoy the ride, you’ll have a fabulous time.